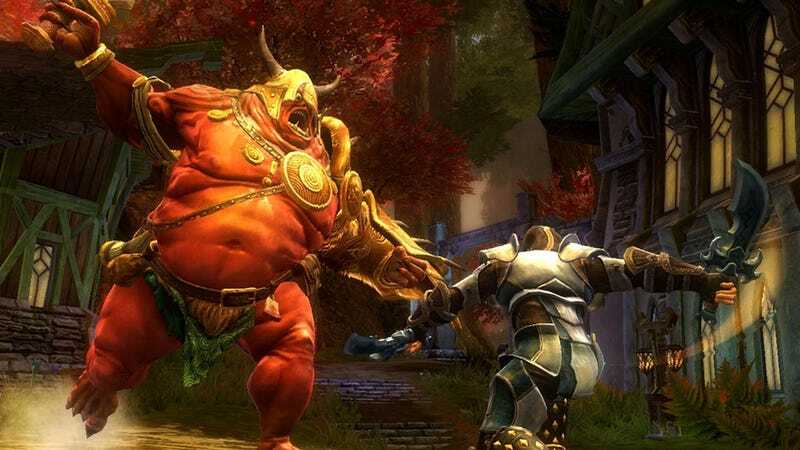 Baltimore-based Big Huge Games, the subsidiary of 38 Studios responsible for Kingdoms of Amalur: Reckoning, was caught up in the company's complete meltdown and suddenly shuttered at the end of May. However, for the Big Huge employees, the sordid tale may have a happy ending. They found themselves in need of work at exactly the same time that Epic Games (Gears of War, Unreal) found themselves looking for more talent. On the Epic Games website, studio president Michael Capps explains the solution to both companies' problems: Epic Baltimore. On Wednesday, the ex-BHG leadership team contacted us. They wanted to start a new company and keep together some of the key talent displaced by the layoff, and hoped that they could use an Epic IP as a starting point for a new game. We loved that they all wanted to keep working together, but it was pretty clear they'd have trouble building a demo and securing funding before their personal savings ran out. In one of life's coincidences, Epic's directors had spent the morning discussing how we'd love to build even more successful projects with our growing team, but that we'd need a dramatic infusion of top talent to do so. Which, we all knew, was impossible. The details are still all in progress, but certain employees will be beginning work as contractors in Epic's Cary, NC headquarters as soon as it can be arranged.